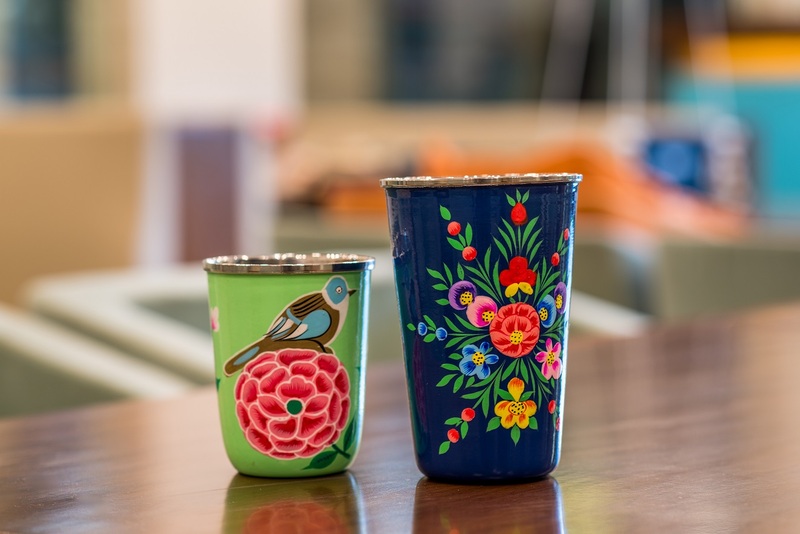 In this blog post, I cover the best kid-friendly restaurant in Gurgaon called little.BIG. My quest for the best kid-friendly restaurant in Gurgaon has just ended with little.BIG. 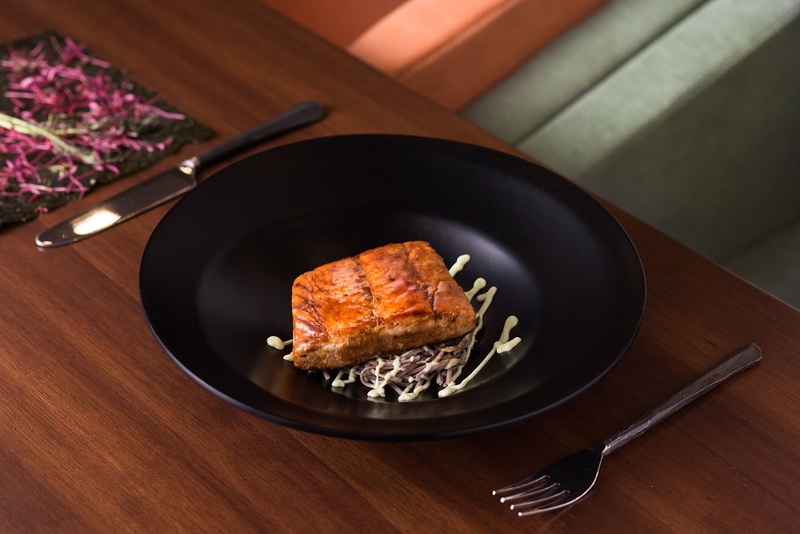 The new restaurant which opened its doors in December last year is based on a simple philosophy that everyone - be it children, grown-ups, or adults with kids - deserves the meal they want and the dining experience they most enjoy. This doesn't have to be mutually exclusive though! 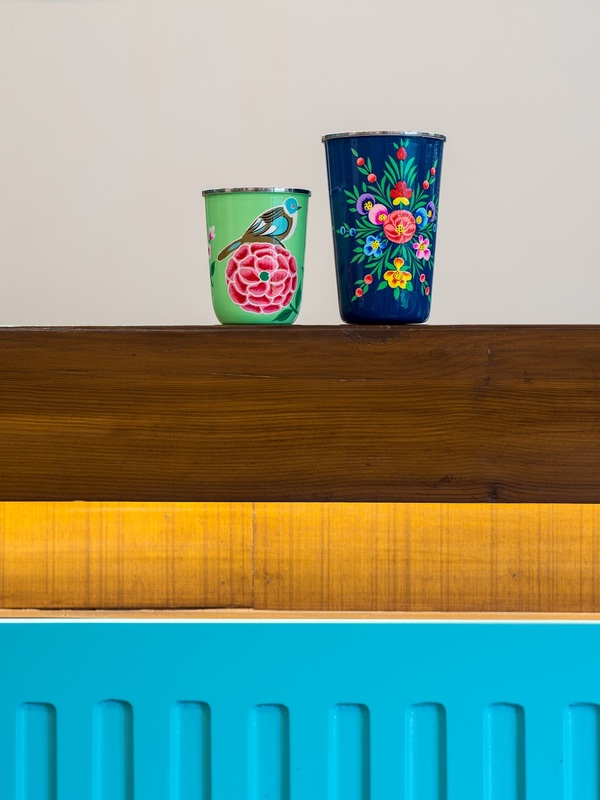 little.BIG is the brainchild of young restaurateurs Aftab Sidhu, Aditi Datta, and Raj Sanyal, the first to realize that Gurgaon needed a restaurant for parents of young children, a place where they could fully enjoy dining without having to worry about their kids for that duration of time. Parents are often designated to chaperoning their kids to spaces designed for children and forced to finish up the half-eaten bland pasta in white sauce, rather than enjoying a scrumptious meal of their choice. To address such challenges, every minute detail at little.BIG has been thoughtfully crafted. The space looks suitably grown-up, with no princesses or cartoon characters painted at every nook and corner, and definitely no mention of the word 'munchkins' anywhere inside the restaurant. Instead, it welcomes everyone alike with its fresh botanical feel ... and bright, warm sunlit ambiance by the day, which transforms to a softly illuminated dinner space once the toys are tidied up. At little.BIG, come and enjoy some much-needed quality time with your better half. You can also use the free WiFi to get some urgent work done. And while you're occupied, the trained staff will make sure your child will stay happily engaged in the adjoining, see-through, all-wooden play area. The play area is handcrafted, made mostly of pine wood, with exciting and colorful installations to encourage 'pretend play,' which fuels both imagination and creative thinking. Unlike other traditional active play areas, little.BIG steers clear of loud, jarring music or run-of-the-mill nursery rhymes, to offer children the magic of Mozart. It has been scientifically proven that listening to classical music helps children develop cognitive skills. The extensive research and personal care that has gone into designing every aspect of the play area speaks volume about little.BIG. 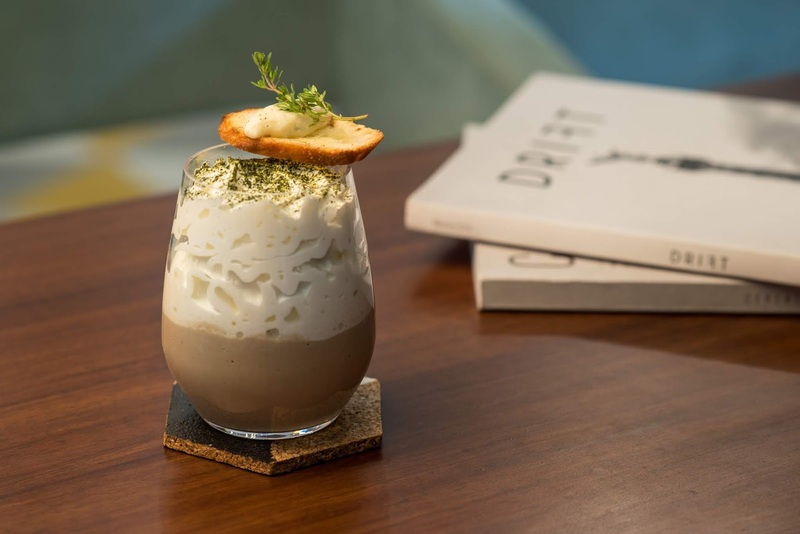 The restaurant also boasts of a specially curated list of books as well as boutique international magazine titles, available for guests who wish to enjoy their coffee and some downtime. The same thoughtfulness and detailing is evident in the designing of three unique menus. The restaurant can accommodate up to 48 people and serves Western European and Asian food for adults, while food for the children spans favorites from all cuisines. The focus on fresh produce and artisanal ingredients is truly commendable. Revel in healthy smoothies and truly indulgent shakes at little.BIG. The restaurant has also introduced, a first of its kind menu, comprising sweet and savory bowls for the youngest guests under the age of 2. No more tiffins of pulsated fruits or grains; kids can design their own personalized bowl with chosen ingredients as well as texture. 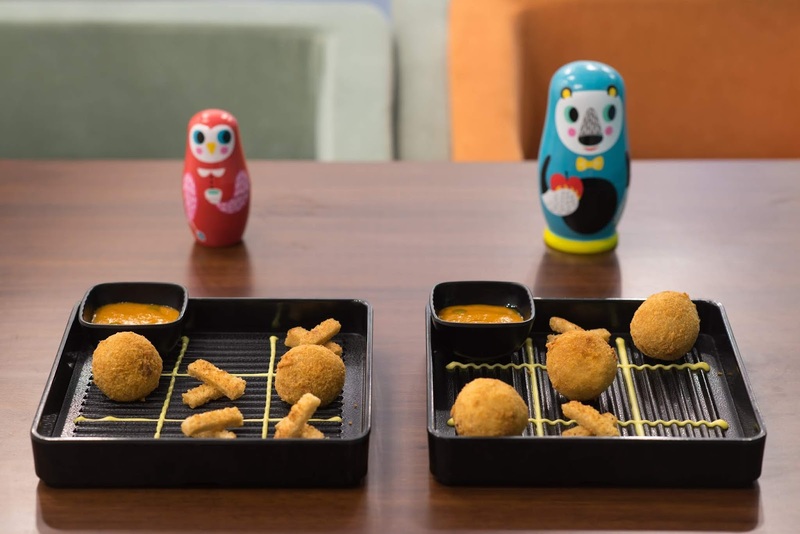 Similarly, the not so little ones are encouraged to experiment with their palate and be introduced to their first experience of fine dining, with a menu that includes Arancini, presented in a fun knots and crosses game. Kids can also try the mushroom and corn toast that comes in the shape of a smiling teddy bear! I loved the scrumptious menu with signature dishes such as the French Onion and Mushroom Risotto, Sweet Potato and Quinoa Salad, Zucchini Noodles with Handground Pesto, and Ssamjang Pork Belly with Asian Slaw, created from the best local and seasonal produce, procured fresh from the farms. The rotating dessert showcase from the in-house bakery is quite simply the icing on the cake! little.BIG isn't about merely pairing together a play area and a restaurant — it is an intuitive experience that considers every minute detail - from the height of the washbasin to the texture of tableware, from the music on the playlist to the many tiny things that can go wrong when accompanied by young guests. With deliberate design and loads of thoughtfulness, the restaurant has made every sincere effort to get these tiny things right. 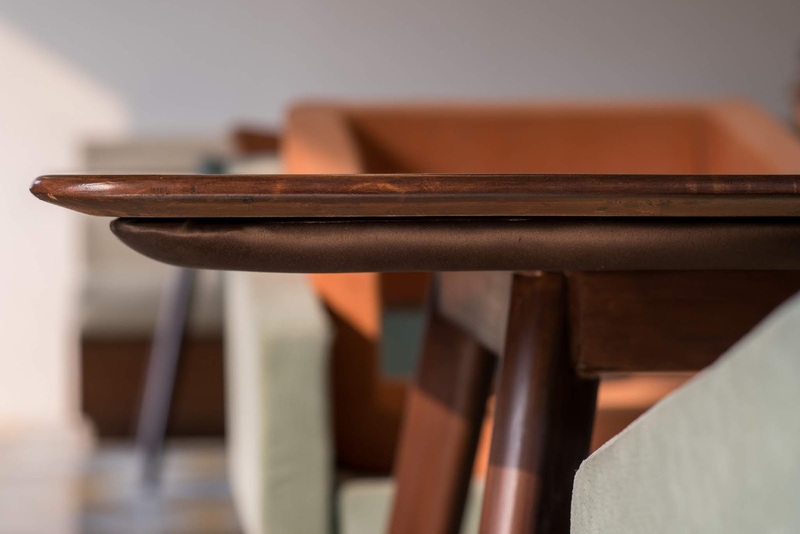 The bottom of your tables are padded, and no sharp edges can be found anywhere, even in the dining area. With adjustable high chair cushions that are inbuilt with the regular seating (so the children feel as much a part of the dining party as the adults) and specially designed seat bottoms to accommodate diaper bags, little.BIG has indeed created an inclusive space for both children and parents. 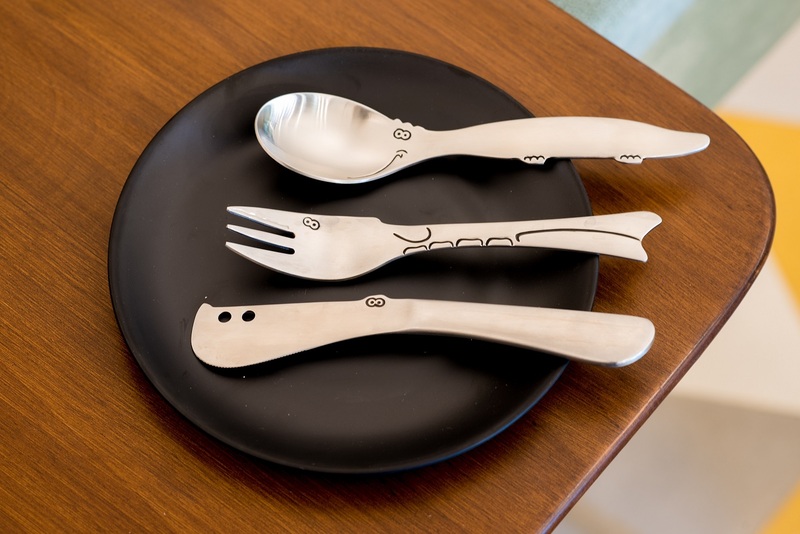 Empty tables with only a wooden toy, unbreakable and yet stylish crockery and cutlery, and a tiny staircase that allows the youngest guests to get a full view of the all-glass kitchen are just some of the thoughtful design additions to ensure a fuss-free yet exciting and fun experience for every guest irrespective of age. little.BIG's story is as much about design thinking as it is about food. The team realized that covering table corners with hands when children were around was a common sight. The more they investigated, they discovered that there are no set guidelines in our country for making spaces child-safe, either in personal or commercial spaces. They looked at international sources to follow and discovered that because of various regulations to follow, child-proofing in the commercial space was an amalgamation of best practice. So they took it upon themselves to contact leading authorities worldwide for recommendations on products to use, things to consider, sources to read upon, etc. and in the process, little.BIG compiled the best of all the wisdom they could find. to feel included in the dining experience. For the littlest ones, a further insert cushion was added to secure them, using the same grade of buttons that are used in weight-bearing baby carriers. Even the infant swings suspended from the ceiling were purchased for a safety compliant and certified brand from the U.S. Since they could design the chair, they also solved the problem of bulky diaper bags and toddler backpacks that are typically stashed in the farthest chair and invariably difficult to access at the moment it is needed. With a simple jute weave at the bottom, bags can be stored easily but available at that exasperating moment when it is required. When they thought they were done finally designing the chair, the other problem was that of upholstery. 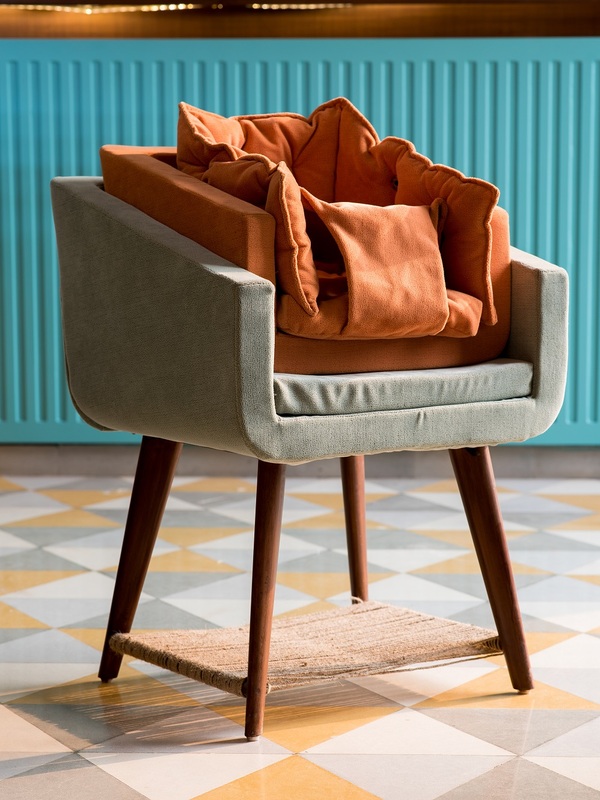 Spaces that expect children generally feature synthetic materials to reduce and manage stains, but these felt anything but premium and grown-up. They eventually tracked down the Italian manufacturer of plush upholstery used in luxury yachts. The upholstery was engineered to repel water and also had antimicrobial anti-fungal properties. As for the space, the main themes are naturally juxtaposed with geometric. The owners strongly felt the need for natural elements such as the air-purifying plants and aquascape which is a self-contained marine ecosystem in itself. Children in grown-up environments can feel straightjacketed into behaving properly, especially in a glass and concrete city like Gurgaon, and they wanted to ensure natural freedom of movement was reflected through botanical and aquatic natural elements. But of course all plants had to be suspended from the ceiling — nothing is placed on the floor to avoid any mishaps of knocking into or tipping over. The strong geometric theme is visible in the flooring since they learned that children developing vision at various ages respond and interpret self-repeating patterns intuitively. This can be seen in the coaster design which older children use as a sort of jigsaw to make patterns. Every design detail is derived from experience or anecdote. Charging stations are provided for phones because parents are always in need of more battery! little.BIG has made this provision but at the height of 5 feet so electrical sockets are not in reach. There are several other child-safety considerations but the team believes the less visible they are, the more efficiently they've done their job in making it a space appropriate for grown-ups. Details of the door stoppers, the texture of the door handle, the length of the cord to manage the blinds, and the height of the washbasin have been designed with deliberation. Even the art displays technical blueprint drawings of favorite toys that are explained from an adult's perspective. 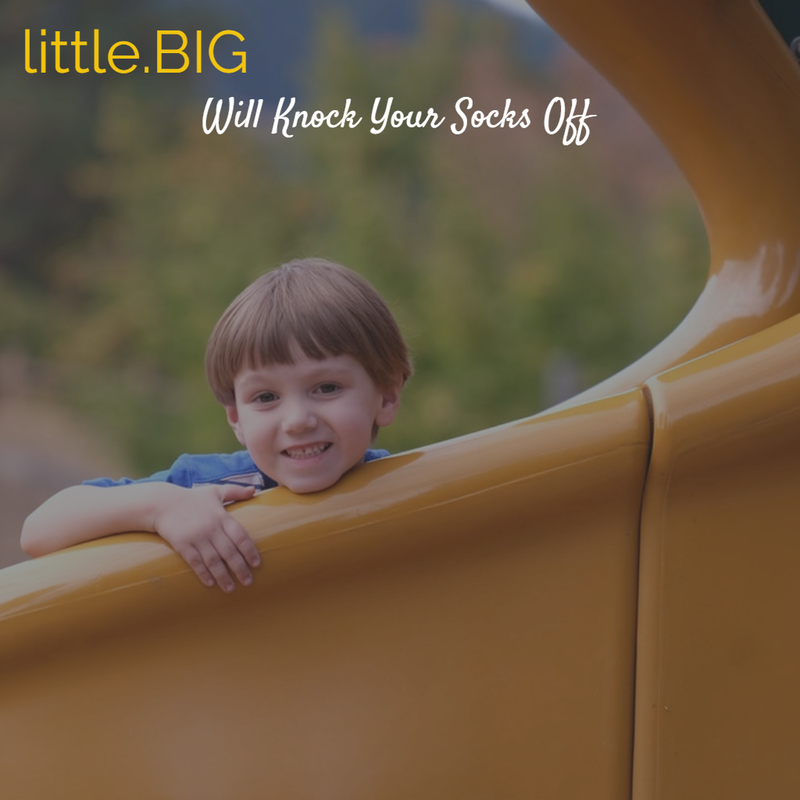 little.BIG believes that as a culture, restaurants have a long way to go before making parents feel included in the social sphere and that is a massive opportunity since parents of young children are a sizeable demographic. By including conveniences and thoughtfulness into the experience of dining out with kids, they hope to make it less stressful and overwhelming for parents who may feel encouraged to step out, and more importantly, feel like their children and themselves are equally welcome. Lastly, the play area where the children naturally gravitate is an antithesis to the existing play areas in the city which tend to be overstimulating. However, extreme active play does not complement a dining experience; so the play area includes active play, pretend play and Montessori play to keep the littles engaged, and they are finding that parents are genuinely amazed at how children participate in alternative play environments when they are exposed to them. The play equipment is made mostly of pine wood and lacks the primary color palette which dominates most kid-oriented spaces. This is more welcoming to the parents, and it allows children to process more details rather than pay attention to only bright colors. Their main attraction is a large airplane — the team realized when designing the space that they all had extremely fond memories of something similar in their respective cities, and travel is indeed a large and emerging pattern in our children's lives. So the airplane is as much for the children as it is for the child in the parents. little.BIG believes that as a culture, restaurants everywhere need to be more inclusive and considerate of the needs of parents of young ones. 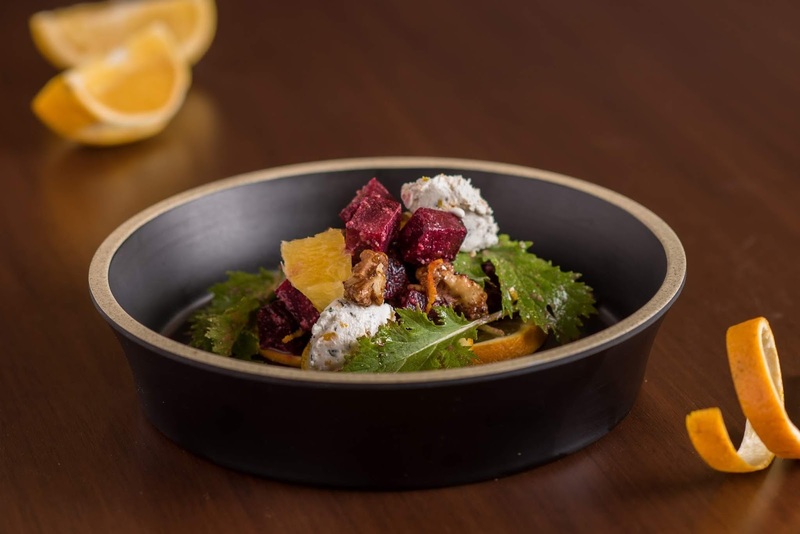 The owners are doing their bit by making it easier for grown-ups to dine out without neglecting their own needs and preferences, and this balance makes for happier parents, happier children, and happier families. Thanks Jyotika for your lovely comment. After such a long time :) Hope things are good at your end!